This updated frame has a larger gluing area and fits the KST DS125, DS135, DS225 as well as the newer X10 and X10 Mini servos. 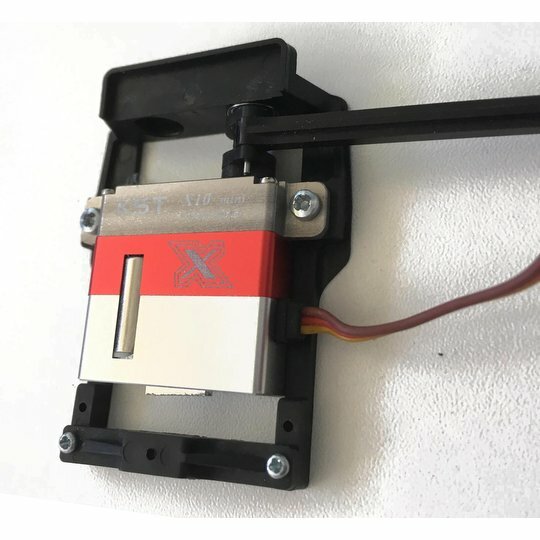 The Integrated Drive System/Mono for KST DS125, DS135, DS225, X10 and X10 Mini servos is a beautifully engineered external bearing servo frame matched to a custom servo horn and supplied with a set of ultra-rigid pushrods for connecting the servo to flaps and ailerons. The Integrated Drive System/Mono is the latest design of Servorahmen IDS systems. 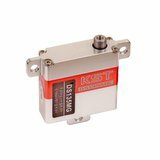 It ensures an low drag slop free and mechanically sound servo to control surface connection. An Integrated Drive System or IDS is a largely or completely internal linkage between the servo and control surface. It is different from a normal wire based linkage in using much stiffer components, resulting in a more rigidly connected control surface, with much less compliance. Also IDS linkages use much shorter servo arm and control surface horn lengths. 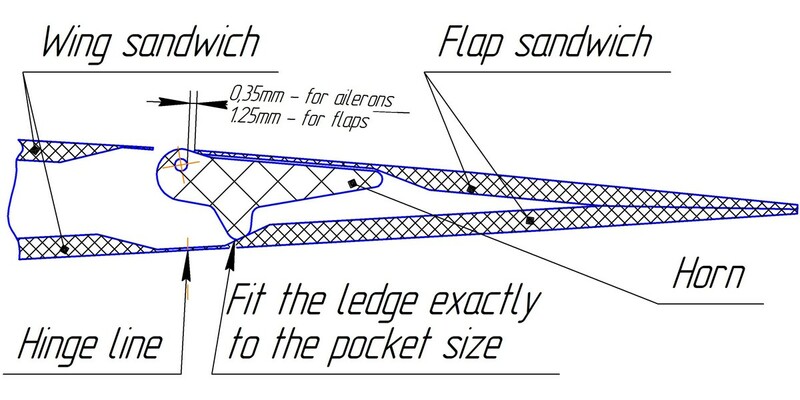 This allows the linkage to be enclosed in the wing. These frames and IDS linkages speed-up servo installation, keep the servo secure and rigidly mounted, and also allow easy removal for maintenance or replacement. The external bearing reduces side load at the servo output arm, reducing compliance and extending the life of the servo. The external bearing and the special rigid IDS pushrod reduces any free play, increasing the stiffness of the control surface, improving control and avoiding flutter problems. 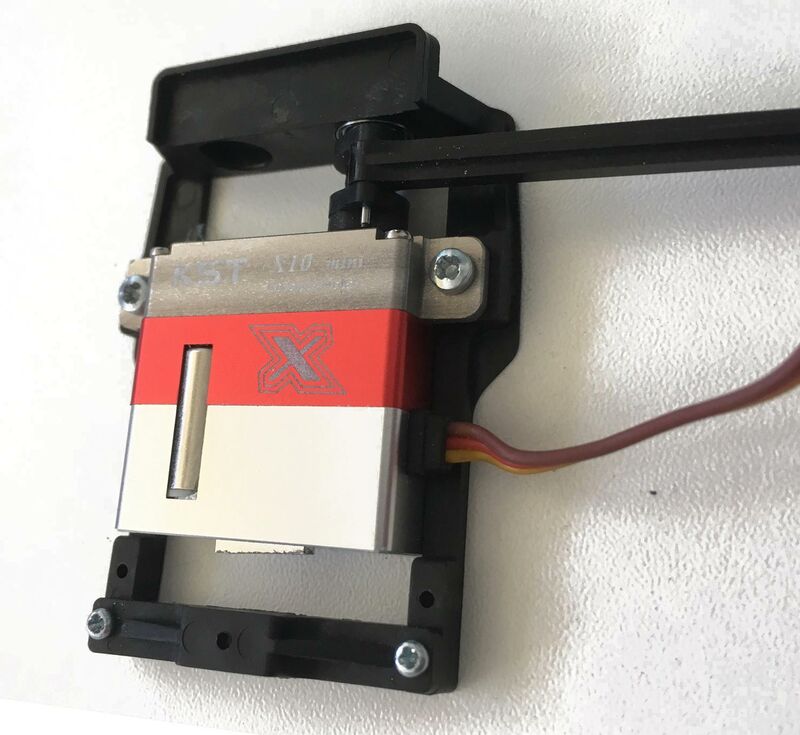 The connection between the servo and control surface is made via a ready-made hard plastic pushrod, so no cutting or gluing is required, making for a quicker and more repeatable installation. 12 of these mono pushrods are supplied in each kit, varying in length between 48 mm and 81 mm, each approx 3 mm longer than the next. These new IDS sets are labelled "Mono" as the pushrod is a monolithic component, not an assembly of parts that can come apart. Sold singly. Add one to the basket for mounting and connecting one servo. The previous type of IDS sets with pushrods made from an aluminium tube are discontinued and replaced by this new IDS/Mono design. No official installation guide is available but Piere Rondel has posted this excellent Servorahmen IDS Installation Guide. Also this Horn Installation Drawing is very useful. 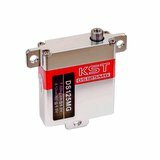 We're pleased you would like to review Integrated Drive System/Mono for the KST X10, X10 Mini, DS125, DS135 and DS225. The V3 couplers for aileron and flap servos are quite difficult to install. Its also easy to damage and frequently have to replace even with soft landing. A really well thought out system. The two piece horn going into the control surface works well and the two little tags help to ensure that the horn is glued to the top surface and each one sits on the same line relative to the hinge. It took a while to get the first one fettled correctly but the following 3 were easy once the system was understood.